Between catching up on homework, studying for exams, dealing with Mother Nature, and pondering what the week has in store, I haven't got much time to take a well needed fishing break. Luckily, with Winter in the rearview mirror (almost) and daylight savings, I've gotten a little more day light to work with for quick afternoon/evening trips. I was able to take one such trip this evening on my way back to school when I decided to stop at my neighborhood pond. This pond is a typical 2-3 acre duck pond with a fountain and a healthy population of bluegills with a few small bass mixed in. Seeing as the pond was still partially frozen over in one small cove, I decided to opt with a size 14 BH caddis larva that I tied yesterday fished subsurface in a slow, twitchy retrieve with lengthy pauses. I covered a good amount of the pond before finding the fish in a shallow, sun-soaked cove. I lost one right off the bat but ended up with 5 more in a matter of 5-6 casts before the action died down a bit (as is usually the case with early season fishing) and I had to call it quits. 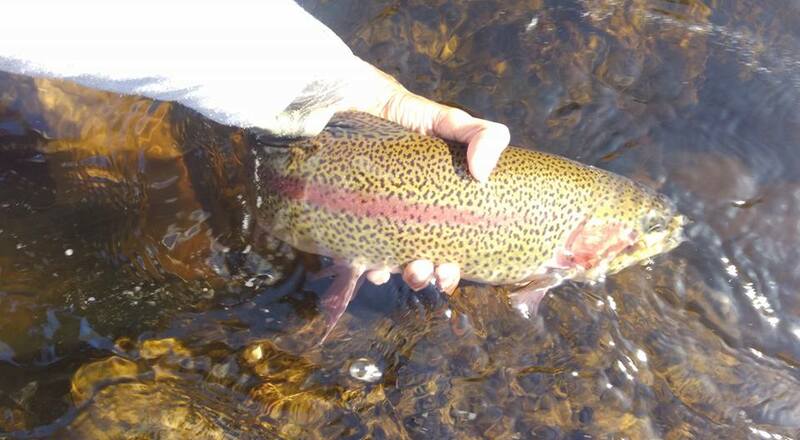 All in all, it was a beautiful day to be out and I was satisfied with catching fish on a fly that I tied. Once the snow melts and the flows return to normal, I look forward to trying these new flies out on the rivers. Cheers!